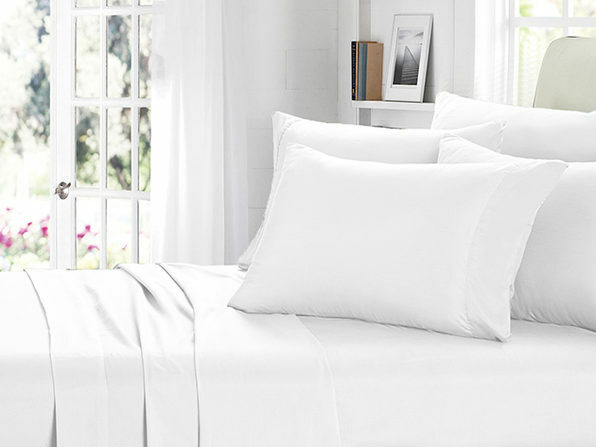 Make your bed your paradise with the 6-piece 2000 Series luxury sheets. Boasting ultimate softness and comfort from eco-friendly bamboo yarn and ultra soft microfiber, these silky, breathable sheets will keep you warm while giving you those curl-up-in-bed chills at the end of a long day. Get the sleep you deserve by upgrading from those hot, itchy, rough sheets to the 2000 Series! Wash instructions: machine wash in cold water with similar colors. Do not bleach, dry clean or iron. Tumble dry on low heat.